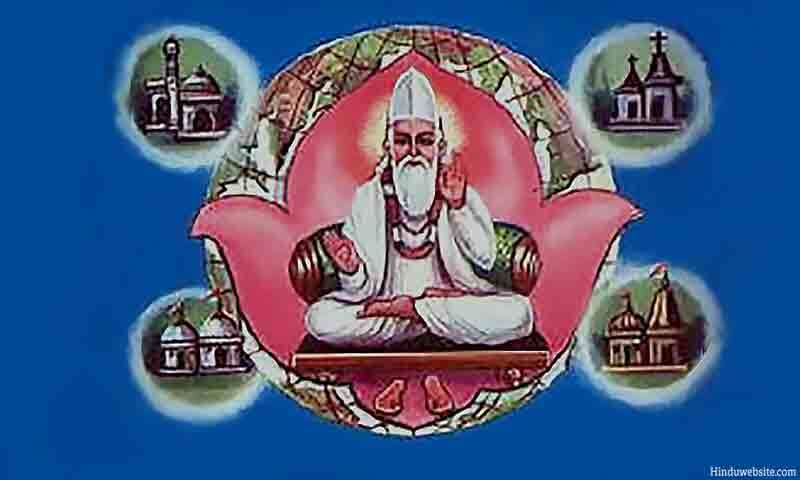 Kabir lived in the 15th century. He was a medieval muslim mystic, who is well remembered even today for his simple life and extraordinary devotional fervor. He lived in Benares, the famous Hindu pilgrim center and led a very simple life as an ordinary weaver. Born to Mohammadan parents, he came under the influence of the famous Hindu saint, Sri Ramananda and delved deep into the mysteries of Hindu mysticism. The images are all lifeless, they cannot speak: I know, for I have cried aloud to them. The Purâna and the Koran are mere words: lifting up the curtain, I have seen. During his life time he composed many poems. They are usually two line couplets, known as dohas, recited by many scholars even today to denote some deep philosophical truths. The Sikh Gurus found his verses especially appealing and incorporated as many as 740 of them into the Guru Granth Sahib, a clear indication that Kabir was a Spiritual Master par excellence. Kabir left behind him a legacy, but has very few followers today. It is unfortunate that he is remembered mostly in the academic circles and by a few admirers. We have presented in this section 100 songs of Kabir translated into English by none other than Rabindranath Tagore, the mystic poet and the Noble Laureate. Source: 100 songs of Kabir translated into English by Rabindranath Tagore, the first edition, published by The Macmillan Company, 1915, New York. The text has been reformatted for Hinduwebsite.com by Jayaram V who has also provided the introduction. While we have taken every care to reproduce the text accurately, we do not undertake any responsibility for any errors or inaccuracies in reproducing the text.